Latvians Online - Page 2 of 967 - Ikkatram latvietim pasaulē. 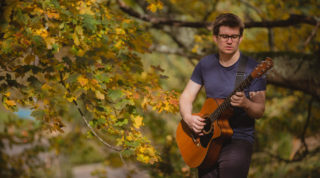 3rd generation Australian-Latvian singer-songwriter Ivars Štubis has just released a new album with nature sounds from Latvia, blended with his own compositions for various instruments. 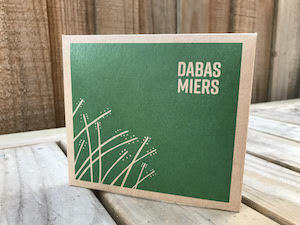 Your latest album titled Dabas Miers (Nature’s Peace) was just launched at the Melbourne Latvian Aged Care Facility in Australia. How did you come to choose this venue for the launch? I work part time as the Lifestyle Coordinator at the Melbourne Latvian Aged Care Facility, the only Latvian-specific aged care facility in Australia. I like to include lots of music in the program including singing, meditation, music listening and more. The facility is also a cultural hub for many community events in the Melbourne Latvian community. For me, this was the natural place for Dabas Miers to start its journey. Where did you draw inspiration for the concept of your new album? The inspiration for this album also came about through my work at the Melbourne Aged Care Facility. One day I was talking about music with my colleague Ingrīda. We were speaking about meditation and relaxation music and she mentioned the lack of such music that is specifically “Latvian”. I completely agreed. There is plenty of Latvian folk music which includes nature sounds but there isn’t much in the way of instrumental music with influences from Ambient, New Age and Post-Rock genres, as well as folk. I also wanted to create something programmatic, that is, something that invites active listening and takes you on a journey through various elements of nature, music and emotion. That’s how the idea for this album was born! What was the process involved in composing the music? This project was the longest and most time consuming I have ever been involved in. There were many steps involved in the process – from recording, to mixing, to mastering and post-production. First of all came recording of all the nature sounds. Much of this task was completed by Andrejs Jaudzems in the summer of 2017 when he travelled to Latvia with our Zoom H6 Microphone. Andrejs travelled to various locations in Latvia including Līvāni, Zvārtes Iezis, Buļļi and Mežaparks, where he recorded natural sounds such as birds, rivers, fields and trees. In the summer of 2018 I also had the chance to make some recordings during my concert tour of Latvia. It was a painstaking process – listening to the many hours of recordings, editing appropriate sounds and arranging them to create the soundscapes that I was after. At this point I began to fully realise the sonic impact that humans make on nature. Rarely was a recording not affected by the sound of cars, motorcycles, builders hammering, people shouting and cyclists whizzing by. During this time I began composing and arranging for the album. My idea was to use Latvian folk melodies as an inspiration and then take them to new places. I recorded guitar, synthesizer, accordion, piano and even some voice as well as the traditional Latvian trejdeksnis. I spent many hours treating audio to create new and interesting sounds. For example, the final track “Pūt Vējiņi”, uses a mixture of synthesizer, accordion and voice to create the ethereal/spiritual sound that I was after. After many hours of mixing and recording in my home studio I then enlisted the help of a professional mastering studio where my final touches could be realised and brought to a professional level. I am so grateful that I received funding from various organisations and individuals that allowed me to truly realise my ideas to their full potential. What inspires your Latvian folk song compositions? I grew up hearing and performing Latvian folk music. From a young age I went to Saturday School to learn Latvian, sang in choirs and participated in music classes. Many times I hated it and struggled to understand the meaning behind it all. 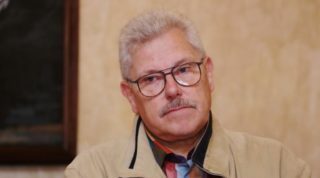 My real love for Latvian folk music was awakened when I met musicians and folklorists during my years attending the Latvian Summer High School (AZVV) near Adelaide. There I began to learn about the ancient history of Latvian folk music and the meaning that is conveyed through the words and melodies. 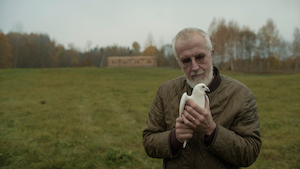 I have to say it is the essence of Latvian folk music that inspires me in most of my work. The ancient unbroken knowledge and way of life shines through the centuries and reaches us today, much like the stories of the Australian Aboriginal Dreamtime. The gravity of thousands of years of joy and adversity seems so strong to me and is beyond our modern interpretation of music as a commodity. Traditional music emanates from the human condition itself. What music do you listen to and do you have any favourite artists that have been influential in your own music-making? I would have to say that my musical tastes are quite eclectic and broad. I enjoy heavy metal, ambient music, post rock, world, classical, folk and even a pop song or two. If I like it, I like it, no matter where it comes from. One thing I do appreciate probably above all other musical types are traditional and sacred music. I particularly enjoy medieval canticles, Orthodox Choirs, first nations music, Hindu devotional music and more. This is music that was mostly composed for something other than earning money. It was composed to venerate, to tell important stories, to pass on knowledge in a time before “do you really think that will sell” was the overarching concept. This is your third album now – yet this one is quite different to the previous two. Do you feel your compositions are moving away from one genre or are you just experimenting with different types of genre? I have always been restless and I like to try many different things. My problem is that I like composing many types of music and I think many musical types have merit. I do however feel that guitar is my strongest asset and I greatly enjoy creating cinematic soundscapes utilising altered sounds, reverbs and delays. This album allowed me to indulge in this area and get really creative. I would like to continue moving down this path and create some more albums in the same vein. You are an Australian of Latvian descent. Would I be correct in saying that through your albums you are expressing your Latvian identity? Or do you see it differently? I suppose my identity is something I grapple with and explore through my music. Understanding who I am when I speak native English but the people around me don’t even bother trying to pronounce my name has been difficult. People have said to me “Your name isn’t very catchy as an artist, you should use a different one”. Then I think, “Why should I, I am who I am.” But on the other side of that, I am a third generation Australian and have never been in Latvia for longer than 3 months. The thing for me is that Latvian folk music draws me. It seems so rich and plentiful, a fountain to draw from. I cannot find that same inspiration in the “Aussie” side of my identity. Besides the First Australians, Australia is a land of migrants and has been enriched by those migrants. I’m not sure if there exists a distinct Australian culture outside of the standard Western Capitalist paradigm. Australians are Italians, Chinese, Latvians, Indians, Afghanis and many more. Latvian traditional culture is something I can hold on to, just like many other Australians hang on to their own distinct traditions. Let’s just say that my music is an exploration of all of this. You live in Australia, yet have created an album with nature’s sounds from Latvia. What association do you have with Latvia? All four of my grandparents and some of their parents were displaced persons after World War Two. All of them made their way to Australia via the DP camps of Germany. All of them had terrifying stories of war, bombing, escape, atrocities and salvation. Some had to fight, others had to flee. I suppose that in the beginning they thought that they may return to Latvia, but after 70 years they became rooted in their new homeland. I have spent most of my life volunteering and participating in the Latvian community both in Sydney and Melbourne. From choirs, to bands to teaching and now even working with Latvian elders, I have done it all. I have always been attracted to the culture and have spent time trying to understand the history and folklore of Australia. One surprising fact is that I only set foot for the first time in Latvia when I was 22 years old and had saved up enough money to do so. I met some long-lost family members and felt my connection with Latvia grow. However, sometimes it’s hard to understand which reality I fit in with most. This is part of my life’s journey. What do you see as the target audience for the album? Whilst the idea for this album came from my work with Latvian elders, I feel that this album can work for anybody who enjoys relaxing music, ambient music or field recordings. I was able to try my initial composition ideas in the memory unit at the Latvian Aged Care facility to see which sounds and songs were able to help calm people or evoke memories. 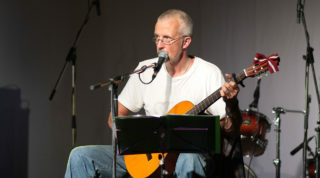 I gave my songs to people of all ages to listen to and critique during the composition process. 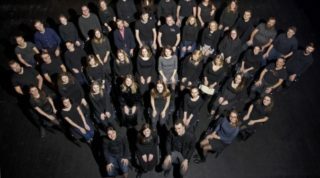 I feel that the sounds will also connect with diaspora Latvians who long for the familiar sounds and melodies that they left behind. My colleague Ingrīda says that when she closes her eyes and listens to the album, she is transported back to the forests of Latvia. Sometimes her feelings are positive, sometimes they are sad. This album is for anyone who wants to go on that journey. I tried very hard to steer away from the usual new age meditation music and try to evoke sounds that would create a range of emotions. As part of this album and its funding, I also want to give back to the community. I am currently in the process of sending free copies and digital downloads to Latvian aged care organisations. These include several organisations in Australia and America as well as many in Latvia itself. I hope that the music can be used for reminiscence, relaxation and meditation as well as active listening or even sleep. Even if it is only enjoyed by one person at each organisation, I feel that it will be worthwhile. Can you share what new ideas you have in the pipeline? As I stated before, if the interest is there, I would love to make a series of albums in this genre. I would love to have the time to record many more sounds and explore new sonic possibilities with those sounds. In other musical pursuits I am currently working on a couple of recordings with the Melbourne Latvian Male Choir “Veseris”, and as always, I am writing songs and performing at local venues in Australia. I would love to travel to Latvia again for a concert tour soon! Where can the album be purchased – physical copies, as well as downloads? Digital and physical albums can be purchased and shipped worldwide via (Bandcamp) from ivarsstubis.com. Payments can be made via credit card or Paypal. If you manage to catch me at a show I will have them with me as well. 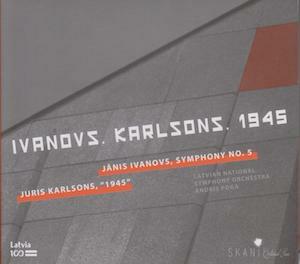 It would be great to find a distributor in Latvia for the album so I can get more copies out there.